Graffiti HeArt and Campus International School Give Students a Back-to-School Welcome!!! When Kate Grzelak, M.Ed, a teacher at the Campus International School (a Cleveland Public School located on the Cleveland State University campus) reached out to Graffiti HeArt non-profit 501(c)3 organization about painting murals in the school lobby entrance as a way to provide an inspiring new experience for the students when they returned back to school this week, Stamy Paul, Founder & President of Graffiti HeArt could not pass up the opportunity. Youth, art, and education are core to Graffiti HeArt’s mission to “Inspire Health and Art in the Community,” and this was a perfect fit! 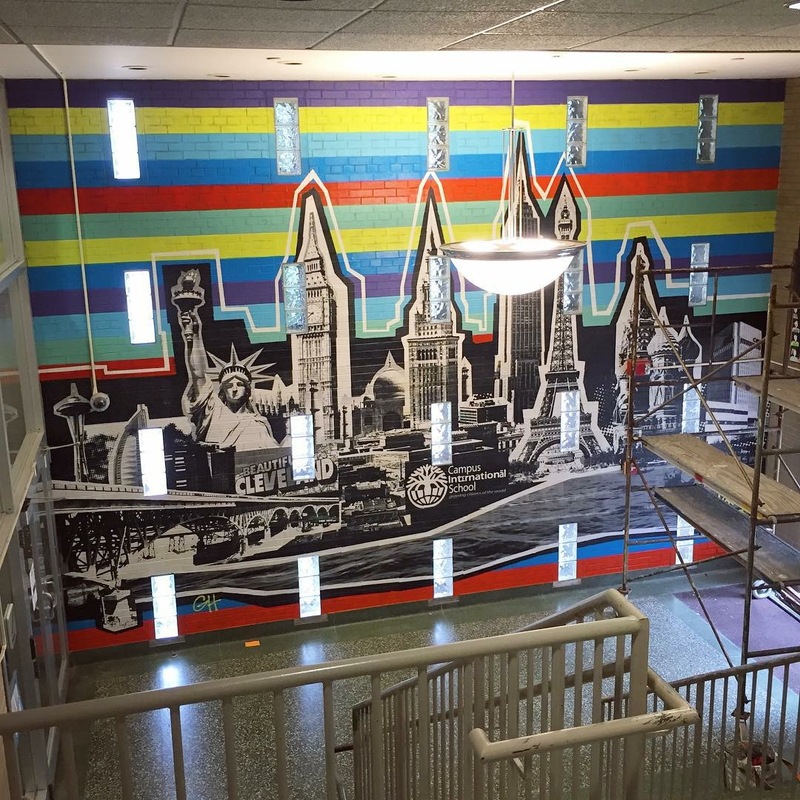 “Having the chance to collaborate with the Cleveland Public Schools to provide color to their walls through local artists is one of Graffiti HeArt’s top initiatives and we are thrilled to partner with Campus International on this project!” Stamy shared. 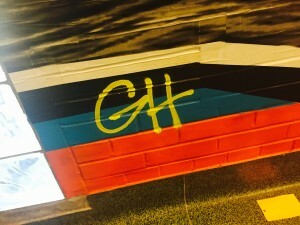 “We were also fortunate this summer to be able to send two high school students from Ohio and Pennsylvania to the Cleveland Institute of Art (CIA) Pre-College program through our very first Graffiti HeArt – CIA Scholarship due to our volunteers and donors,” she added. 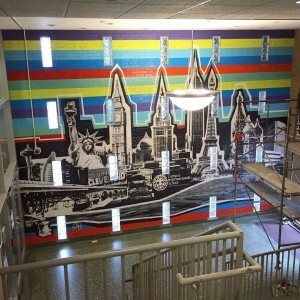 The Cleveland State University Department of Urban Education, through Justin Perry, Director, Center for Urban Education, sponsored this project, resulting in two new art mural installations beautifying the student’s school. Graffiti HeArt worked with Campus International (CIS) to identify the space and the concept, and then commissioned two local talented artists, Garrett Weider and Bob Peck to come on campus to paint two unique and creative murals capturing various themes of the school including skylines of Cleveland landmark buildings as well as buildings from around the world including the Eiffel Tower and others, and a painting of the earth on the other as well as the CIS and other details. Students and parents coming to school on their first day were overjoyed with excitement, posting comments on social media, writing letters sharing their delight with the artwork. “Our old wall made me nervous, our new wall makes me feel creative,” Trinity W., Grade 4. “Before the mural, the wall made me feel trapped, now the new wall makes me feel free,” Mikalia E., Grade 4. 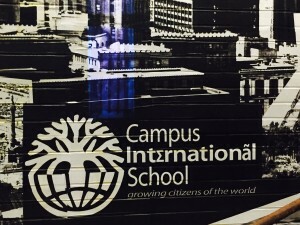 “When I came to Campus International, I felt Blah. Now I feel great enthusiasm.” James G., Grade 4. 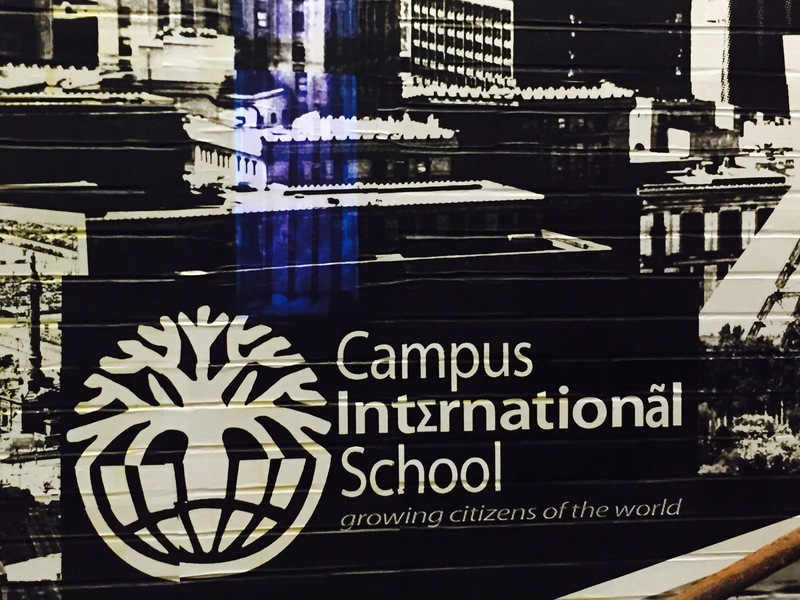 “Creating an environment where children want to come everyday is a priority at Campus International. The murals create a welcoming feel while capturing the spirit of who we are. As an IB school, we strive to foster international mindedness while taking action in our community and the art work reflects that. 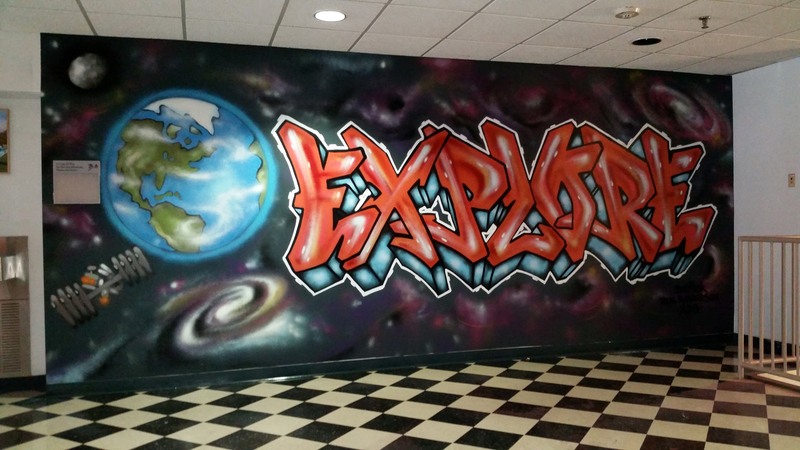 We encourage our students to explore and both murals so perfectly captured that spirit. I have loved seeing the faces of the parents and students as they walk in the school and see the murals. Their faces light up and then I hear great conversations about the landmarks illustrated from around the world. ” -Julie Beers, Principal, CIS. A dedication ceremony will be held at Campus International on August 31st. Both Garrett Weider and Bob Peck will be in attendance to meet the students and answer their questions about the paintings, the art form, and anything else that is on their mind! Graffiti HeArt relies solely on volunteers and donors. Graffiti HeArt is operated 100% by volunteers and there are no paid staff! 100% of donations are tax deductible. For more information about Graffiti HeArt and how to make a donation, please visit www.graffitiheart.org.